Having delighted Orangery audiences last year, and critically acclaimed as one of the world’s greatest tribute shows, Simon & Garfunkel Through The Years returns in 2019 to the main stage with an all new production. 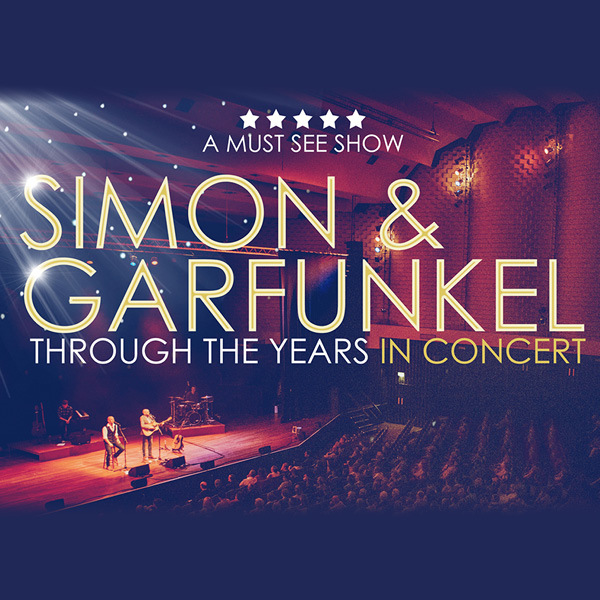 Featuring a live band, stunning vocal harmonies and moving video footage this spectacular concert takes audiences on a journey through the songs and history of Simon and Garfunkel. Hear all of the hits such as ‘The Sound of Silence’, ‘Mrs Robinson’, ‘The Boxer’ and the iconic ‘Bridge Over Troubled Water’ as well as hits from Paul Simon’s solo career.